Who has What Car? helped this month - February 2018? | What Car? Who has What Car? helped this month - February 2018? I own a 2012 Ford Focus 1.0 Ecoboost. Last August, I discovered the car had a coolant leak just before setting off on a 100-mile journey to a wedding with my family. I had to stop every 20 miles or so to check the coolant level and top it up if necessary. Had I not done this, the engine would have overheated, potentially causing serious damage and leaving us stranded in the wilds of Scotland with our two children, aged seven and nine. After this, I took my car to Station Road Garage in Kintore, and they replaced the coolant hose at a cost of £142. I also purchased a bottle of coolant for about £8. At the beginning of October, I received a letter from Ford informing me of work required on my Focus as a result of a manufacturing defect in the degas coolant hose. 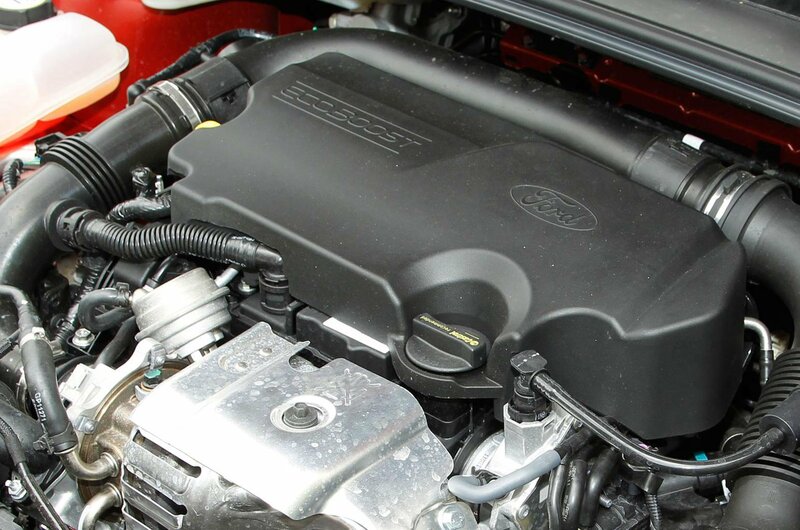 I contacted Ford to request a refund of the money I’d spent fixing my car’s fault. Bizarrely, Ford replied saying that it would only cover the cost of the hose, not the labour or any other expenses I’d incurred, and only if it received proof that the hose fitted by Station Road Garage was an official Ford part, failing which it wouldn’t pay anything at all. So I took the car to my local Ford dealer, Lawrence of Kemnay, from where I had bought my car new. Lawrence confirmed the hose fitted was suitable. It also told me that it first started dealing with cars concerning this issue in June 2015 and was still dealing with half a dozen hose replacement recalls at the same time as mine. It had no idea why there was a two-year delay in Ford contacting me or other Focus owners. I’ve written to Ford requesting an explanation for this inexcusable delay, but nothing has been forthcoming. I’ve also made two formal complaints to Ford UK’s CEO, but again have received no explanation for the delay, let alone an apology. The handling of this issue by Ford and the delay in contacting me is an absolute disgrace, as is the refusal to reimburse all the costs and expenses that I incurred as a result. We don’t think it’s right for Mr Goshawk to have to pay for the repair work, which would have been completed for free if his recall notice had arrived on time. We therefore contacted Ford and asked the company to reconsider its offer of only paying for the replacement hose. Ford contacted Lawrence of Kemnay to confirm that it had inspected Mr Goshawk’s car and that the repair had been done in line with Ford’s set processes for the issue, which was not a safety recall but what Ford calls an owner notified customer satisfaction programme. Once Ford had confirmation from Lawrence, it reimbursed Mr Goshawk in full. Ford didn’t offer an explanation for the delay in notifying Mr Goshawk about the issue, though. Which used small SUV is best for a young family living in the city? 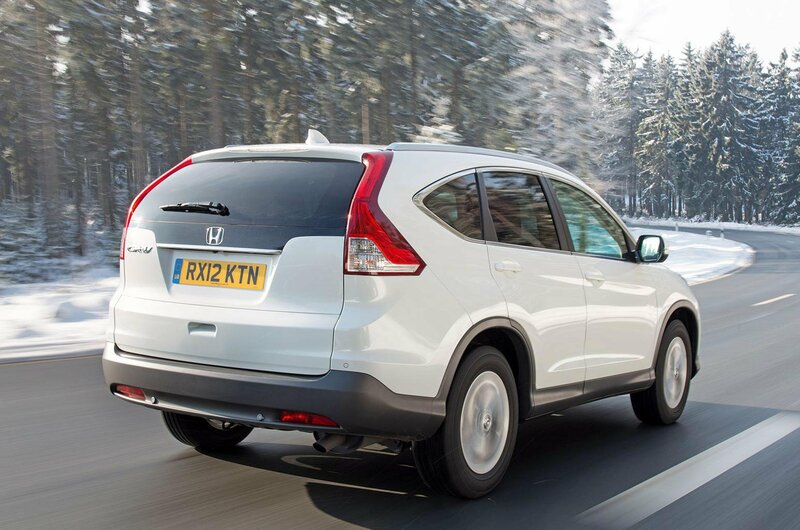 Is Honda CR-V a sound second-hand buy? My daughter and her two young children, who are aged two and four, are returning to live in the UK after several years overseas, during which time she enjoyed driving a seven-seat Honda Pilot large SUV with a big engine and an automatic gearbox. She has asked me to find and purchase a smaller SUV before she and the children arrive in a few weeks’ time, and suggested that I start by looking at the Honda CR-V. However, having browsed online reviews, it would seem the CR-V is outshone by several of its rivals, so I am now unsure about which car to go for – and time is against me. My daughter’s budget is £11,500. She would like a car with a good balance between performance and economy. Fuel choice depends on which model you recommend. She’d also prefer an automatic gearbox, although this isn’t essential. Please could you put me on the right course to find the best family SUV for her? Yes, newer SUVs such as the Peugeot 3008 and Seat Ateca have eclipsed the CR-V in the past year, because they’re more refined and handle better. However, they’re too new to be in your daughter’s price range. We’d recommend the Mazda CX-5, which we named our 2018 Used Large SUV of the Year. It provides all the space and practicality she could ever need, plus it’s sturdily built, involving to drive and very fuel-efficient in the real world. Your daughter’s budget should get her into a 2012 example with average mileage and a full service history; we’d recommend going for the 2.2-litre diesel with front-wheel drive. The CR-V is still worth a look if the CX-5 doesn’t appeal. 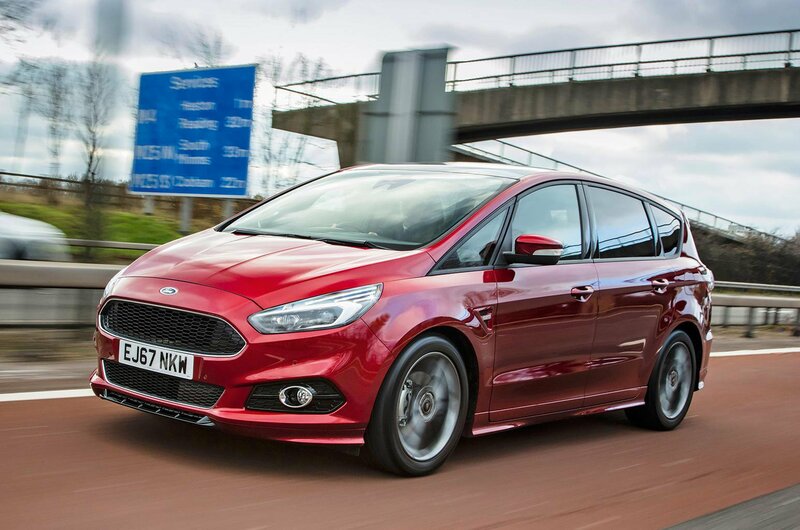 It’s pricier to buy, but it has a spacious interior and an impressive reliability record. Alternatively, if you want something more compact, you could take a look at the Volkswagen Tiguan. This also has the benefit of plusher interior plastics, but it’s more expensive to buy used, so with your daughter’s budget you’d have to go for a 2009 example. Is a 1.0-litre engine big enough? 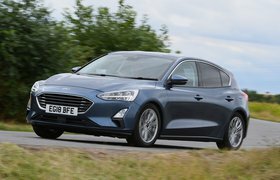 Should reader replace 1.4 petrol with a 1.0? 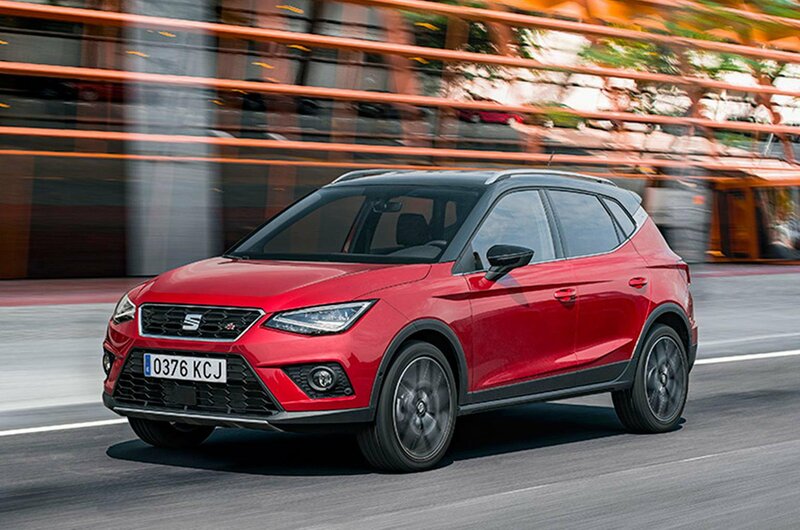 I currently drive a Seat Leon 1.4 TSI 125, and I’m interested in the new Seat Arona. How much of a difference in performance is there between my car and the Arona 1.0 TSI 115, given that it has three cylinders and five gears, whereas mine has four cylinders and six gears? We only use our car for leisure, although we do take a lot of stuff with us when we go on holiday. Our road testers reckon the 1.0 TSI 115 engine will give strong enough performance for your needs. A 1.5-litre petrol engine will be added to the Arona’s range next year, but it will be available only with higher trim levels, so it will be pricier. If you want more performance and are prepared to raise your budget, you might want to consider a bigger family SUV, such as the Seat Ateca or Skoda Karoq. We have run a Volkswagen Golf with the same 1.0 TSI engine as in the Arona, and an Audi Q2 with the 1.4 TSI engine in your Leon, as long-term test cars in the not-too-distant past. While the Golf required more frequent gearchanges to keep up swift progress around town, it was by no means sluggish and didn’t feel a great deal less powerful than the Q2. We did a lot of motorway miles in the Golf, as well as plenty of local runs, and were happy with it. We’d suggest you test drive the Arona and some bigger-engined cars to compare.